Sgt. George “Loaded” Lockhart, one of the Marine Corps’ top martial arts instructors, has said he plans to open a gym this summer with rising UFC star Brian Stann. 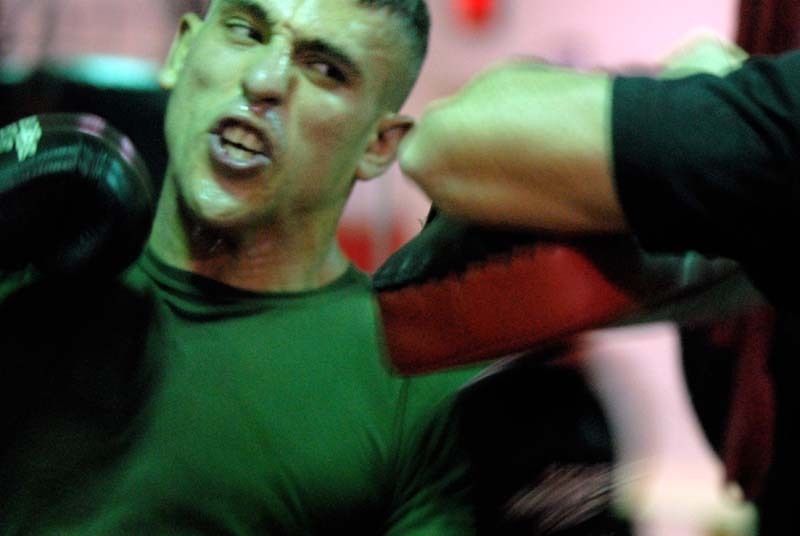 Lockhart, who is set to leave the Marine Corps in July, said he and Stann, a former Marine captain and Silver Star recipient, hope to co-manage the gym in Alpharetta, Ga., near Atlanta. The two of them are both quickly earning names for themselves in the UFC — Stann as the underdog fighter who crushed Chris Leben in a New Year’s Day victory and Lockhart as a diet guru who helps fighters drop weight in the days before their fights. Lockhart has worked with a handful of fighters including Stann, Jon “Bones” Jones, and may soon help former light heavyweight champion Rashad Evans prepare for an attempt to reclaim his title from Mauricio “Shogun” Rua during a May fight. While Lockhart has been mostly conditioning fighters, he is no slouch in the octagon himself. He has several professional fights under his belt and was invited to compete on Spike TV’s “The Ultimate fighter.” He was first invited in 2009, but was unable to participate after his request for six weeks of leave for filming was denied. He was invited back in 2010 for the show that will air in 2011, but the Marine Corps has not announced an official decision. Either way, Lockhart is a man to watch. He is determined to break into the UFC one way or another, he said.